PEDERNALES, Ecuador (AP) -- The strongest earthquake to hit Ecuador in decades flattened buildings and buckled highways along its Pacific coast. President Rafael Correa said at least 233 people had died and rescuers were struggling to reach survivors trapped in the rubble. 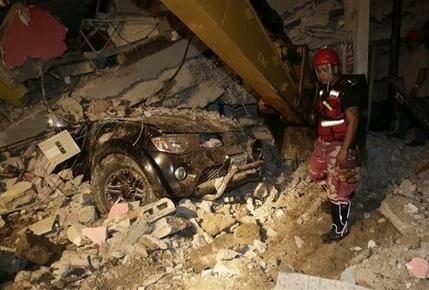 Vice President Jorge Glas said there were deaths in the cities of Manta, Portoviejo and Guayaquil - all several hundred kilometers (miles) from the center of the quake struck shortly after nightfall Saturday.